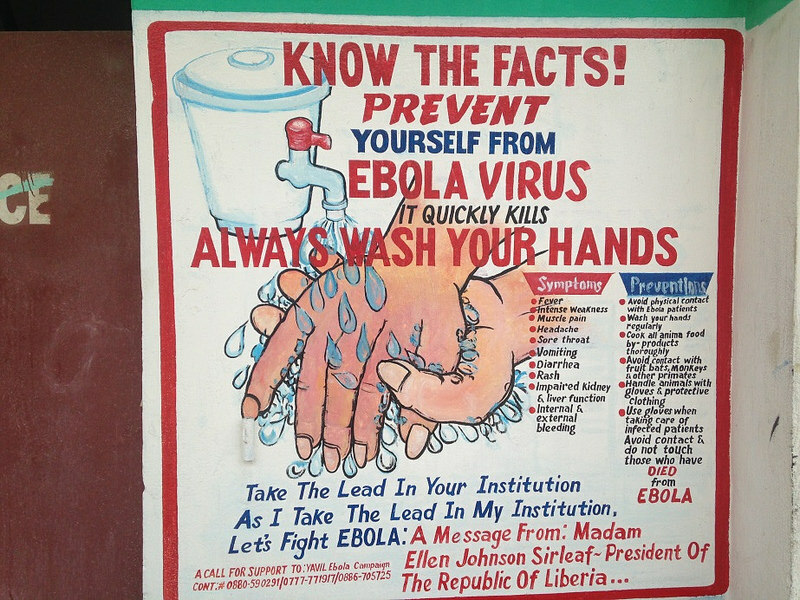 Ebola is making millions of Americans sick. No, they’re not contracting the virus, which has killed thousands of Africans in the worst outbreak in history. I’m saying people are sick of the breathless reports and fear-mongering pronouncements from politicians, cable news outlets and talk radio hosts. The fact is that in a country of 300 million people, only two have actually become infected here in the United States (due to poor protocols at a Dallas hospital). Two others (one of whom died) developed symptoms here after visits to West Africa. A few other patients were brought here for treatment after developing symptoms overseas. At the Omaha, Atlanta and Maryland hospitals where those patients were treated (and where the two Dallas healthcare workers have been hospitalized), no healthcare workers have contracted Ebola. The government built special units at these hospitals to handle contagious patients in a post-9/11 effort to prepare for possible biological attacks. Also: No one the Dallas patient was with before he was hospitalized has become ill. That says something about how hard it is to spread this virus – unlike, say, influenza. Meanwhile (here comes the Iowa angle), an Ames company has been in the headlines for its work on an Ebola vaccine. Iowa press coverage of NewLink Genetics has largely tracked the company’s plans to get the vaccine into human trials. It’s rarely gone beyond a single source: NewLink. Reports outside the state, however, have been more critical. NewLink denies it, but some say the company has purposely delayed the trials while Ebola spreads in Africa and people die. As the New York Times reported last week, a researcher from the University of Texas Medical Branch in Galveston developed a potential Ebola vaccine a decade ago. The vaccine is a generally harmless virus with an Ebola virus gene inserted into it. The altered virus produced an Ebola protein. When it was injected into monkeys, the vaccine prompted their immune systems to produce antibodies that also killed Ebola, with 100 percent efficacy. But with no major market for an Ebola vaccine – even today, in the grand scheme of things the disease affects only a small percentage of the population – it sat idle. There was no money – or perhaps no will – for clinical trials, the last step in bringing a vaccine to market. Nonetheless, about 1,500 doses of the vaccine were produced, reported Kai Kupferschmidt, a correspondent for the journal Science. The Public Health Agency of Canada (PHAC) patented the vaccine, produced the vials, and was holding them at its labs. In 2010, NewLink, a company based at the Iowa State University Research Park that develops immune-therapy cancer treatments, licensed the Ebola vaccine technology from the Canadian agency. That’s where the problem lies, say some doctors involved in testing the vaccine, called VSV-EBOV. The vaccine can’t just be sent to Africa and given to Liberia, Guinea and Sierra Leone residents. First it must be tested in humans to determine its safety, side effects and optimal dosage. As the Des Moines Register reported in early August, NewLink received a government contract to push the vaccine into human trials. A month later, the U.S. Food and Drug Administration approved plans for a safety trial. Three weeks later, researchers were fuming. They were ready to do the trials, they said, but NewLink was stalling. “It’s making me mad, that we are sitting here and could be doing something, but things are not moving forward,” virologist Stephan Becker at Germany’s University of Marburg told Kupferschmidt. “It’s a farce; these doses are lying around there while people are dying in Africa,” said Heinz Feldmann, another virologist who helped develop the vaccine at PHAC. The critics told Science that NewLink drug its heels during the preceding two months because it feared losing control of the vaccine’s development. Canada has donated between 800 and 1,000 vials of the vaccine to the World Health Organization (WHO) for testing. NewLink owns the rest. But as September ended, none of the vaccine had been sent for planned trials in Maryland, Germany and Switzerland, and in the African nations of Gabon and Kenya, Kupferschmidt reported. The problem is that “regulators require information about how the vaccine was manufactured, and that resides with NewLink.” The company was slow to release the data, researchers said. Work on moving into trials was proceeding at an unprecedented pace, Brian Wiley, NewLink’s vice president for business development, told Kupferschmidt. Administrative steps like agreeing on a testing protocol, signing contracts, and getting insurance were the holdup. Marie-Paule Kieny, a WHO assistant director-general, also said NewLink wasn’t dilatory. Kupferschmidt’s September 29 post says NewLink’s small size may contribute to the delays. He reported that the Biomedical Advanced Research and Development Authority, an agency that helps accelerate drug development in emergencies, sent two people to help the company file needed documents. Wiley said the added help has more to do with the matter’s urgency than the company’s abilities. Last week, however, the Canadian Press (kind of the Canadian equivalent of the Associated Press) reported that officials in that country believe NewLink doesn’t have the capacity to stage the trial. A University of Ottawa law professor even argued Canada should terminate NewLink’s license (or licence, as they spell it there) or allow other companies to make the vaccine. The contract allows the government to exercise that option in an emergency. No need to worry, NewLink chief executive and chief scientific officer Charles Link told the Canadian reporter. “There haven’t been any delays. We couldn’t go any faster without really doing things dangerously,” he said. “I don’t think humanity has ever tried to do anything this complex, to be quite honest,” he added (somehow forgetting putting men on the moon or developing nuclear fusion). Meanwhile, Link was telling the Des Moines Register that the company was scaling up VSV-EBOV production and expected to have thousands of doses ready by the end of the year. Wiley told Kupferschmidt that the vials stored in Canada also could be subdivided into thousands of individual doses, depending on the amount to be administered in trials. The VSV-EBOV vaccine was finally headed to Europe last week, Science reported. Kieny said the Canadian government’s 800 vials were being sent in three separate shipments as a precaution. On Friday, the New York Times reported trials are starting in the United States and other countries outside the outbreak zone. If all goes well, tests in Ebola-affected areas could start in December (which seems a long way off until you realize Christmas displays are going up in stores). Two medicines, VSV-EBOV and another produced by pharmaceutical giant GlaxoSmithKline (GSK), are the most advanced and will be in the trials. At least five other potential vaccines are less developed but could be in human trials early next year. Of all the vaccines, VSV-EBOV may be the most effective. If you dig into the Canadian Press story and the earlier New York Times story, you find that besides 100 percent efficacy in monkeys if treated before infection, it might mitigate the disease even after infection. Unlike the GSK vaccine, VSV-EBOV may provide immunity with a single dose, simplifying immunization. But as the Canadian Press story details, the reason the vaccine is so effective also is why researchers are concerned about its safety. VSV-EBOV is a live (but harmless) virus that replicates in the patient, essentially causing a low-grade infection. That means it may also cause a slight fever, confounding efforts to determine whether the patient is immune or coming down with Ebola. There also are other questions. But now that obstacles to human testing – whatever they were – are past, we may get answers. And Africans watching friends and relatives die a horrible death may get relief.